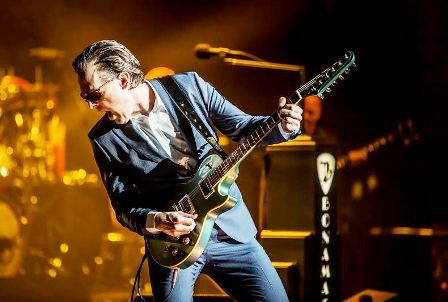 Billed as 'The Guitar Event of the Year', Joe Bonamassa's 2018 UK tour is already eagerly anticipated by fans. 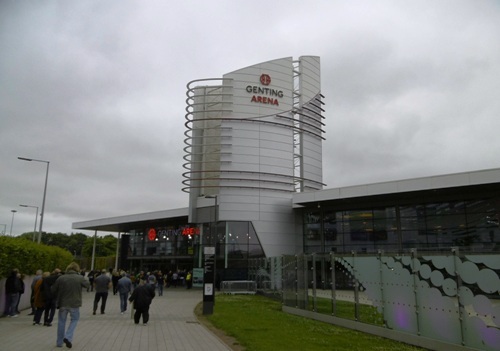 The celebrated blues-rock guitarist and singer-songwriter will perform at seven British venues next year - Cardiff Motorpoint Arena (March 9), Manchester Arena (March 10), Carlisle Sands Centre (March 11), Aberdeen GE Oil & Gas Centre (March 13), Gateshead Sage (March 14), Birmingham Genting Arena (March 16) and Brighton Centre (March 17). 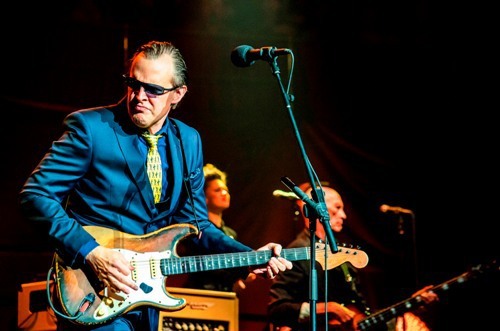 The tour announcement follows Joe's two sold out concerts at London's Royal Albert Hall in April 2017 and the release of his studio album, Blues of Desperation, which reached number three in the Official UK Album Chart, and his live acoustic recording, Joe Bonamassa: Live at Carnegie Hall. Last year's Carnegie Hall concert was part of a special all-acoustic tour and featured an all-star ensemble of musicians. Among them were acclaimed Chinese cellist and erhu (two-stringed instrument) player Tina Guo, whose repertoire stretches from classical to heavy metal, and Hossam Ramzy, the Egyptian percussionist and composer, who has performed on dozens of film soundtracks and records and on Jimmy Page and Robert Plant's No Quarter: Unledded Tour. The line-up was completed by Reese Wynans (piano), Anton Fig (drums) Eric Bazilian (mandolin, hurdy-gurdy, saxophone, acoustic guitar, vocals) and backing vocalists Mahalia Barnes, Juanita Tippins and Gary Pinto. Joe says: "Despite being among the most ambitious things I've done – I played with a nine-piece acoustic band – it came out great. It was a typical Joe freak show." For the 2018 tour Joe will be plugging in his guitar again to give audiences the full electric experience. The set-list will include tracks from Blues of Desperation, released in March last year. 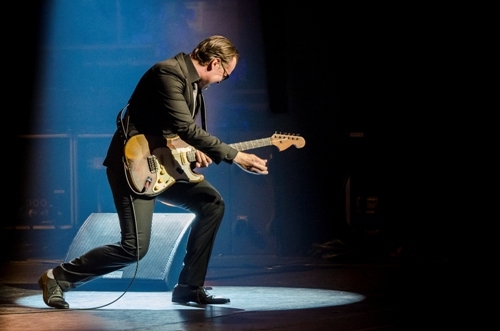 Joe's career began in 1989 when, at the age of 12, he was the opening act at a BB King gig. Today, he is considered one of the greatest guitar players of his generation having released more than 15 solo albums, all on his own label, J&R Adventures. His annual tour schedule consistently hovers at around 150 shows, with a handful of diverse side projects keeping him thinking outside the box. One of these is the band Black Country Communion, alongside Glenn Hughes, Jason Bonham and Derek Sherinian. A new album from this 'supergroup' is expected later this year. Joe also founded, and continues to oversee, the non-profit Keeping the Blues Alive Foundation to promote the heritage of the blues to the next generation, fund music scholarships, and supplement the loss of music education in public schools.